Did you know the Grand Rapids area has around 100 miles of off-road, paved, non-motorized trails for public use? Grab your water bottle, sweatband, bicycle or running shoes and hit a portion of what makes Grand Rapids great: the Kent Trails. 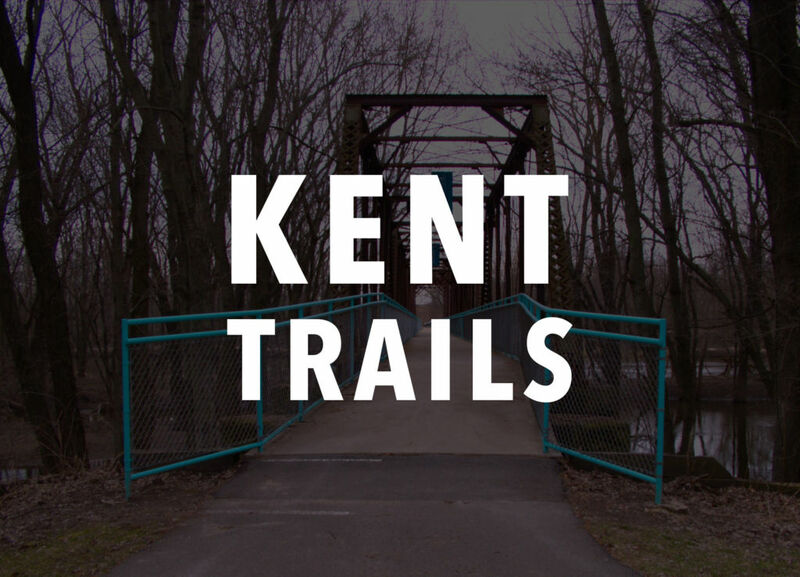 Stretching for 15 miles, Kent Trails makes use of former railroad grades for a paved, multi-purpose, handicap-accessible pathway through several West Michigan communities, including Grand Rapids, Grandville, Walker, Wyoming and Byron Township. Using a former railroad grade for a trail made sense, because the grade is level with minimal sharp curves. Starting at the John Ball Park in Grand Rapids, the path meanders southwest along the Grand River through Millennium and Johnson Parks, and along Indian Mounds Drive before crossing the river and heading south through Grandville along Ivanrest Avenue to Prairie Street, before heading east to the old railroad grade. From there, the trail heads south over Buck Creek, and past 44th, 52nd and 56th Streets. The trail connects with the Fred Meijer M-6 Trail that heads east before passing under the Paul Henry Freeway (M-6), and continues on to 72nd Street where a spur of the trail heads east to Douglas Walker Park. Stay on the main trail, and you will end in Byron Center at 84th Street. There are five parking areas located at John Ball Park, Johnson Park, Millennium Park, Douglas Walker Park and 84th Street in Byron Center. In addition, anyone can access the path at any road entrance that intersects the kent trails. Popular activities include: cross-country skiing, walking, roller skating, bicycling, jogging and running. Please make sure to practice proper trail etiquette by staying to the right, announcing you are passing to the left, picking up after your pet and making sure to step off the path when not in use. We hope you are ready to hit the Kent Trails and enjoy using the path responsibly, so all of us can enjoy. What are some of your favorite spots along the trail? Have any other tips? Feel free to let us know!